Herbal Lore has been passed down from mother to daughter and father to son for eons of time. This knowledge is our healing legacy and has been saved in many books that have survived from the old days. 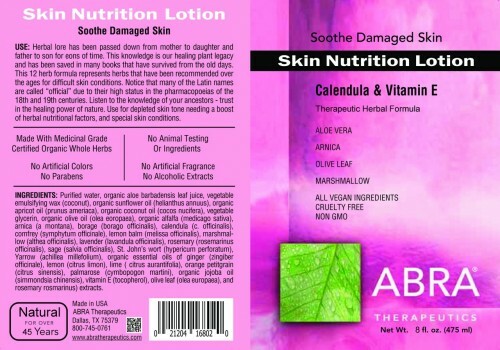 This 12-herb formula represents herbs that have been recommended over the ages for difficult skin conditions. Notice that many of the Latin names are called “official” due to their high status in the more recent pharmacopoeias of the 18th and 19th centuries. Listen to your ancestors – trust in nature. 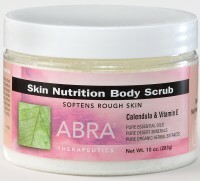 For depleted skin tone needing a boost of nutritional factors and special skin conditions. 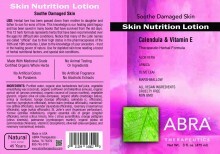 Click the button below to add the SKIN NUTRITION LOTION - 12-Herb 8oz to your wish list.